Ram’s second film, Jagadam, is a dark and violent gangster film and is certainly very different from his debut role in Devadasu. Supposedly loosely based on the Brazilian film City of God, it’s less an exposé of gangland life but purports to be a moralistic tale of the consequences of violence. Ram plays Seenu, a wannabe rowdy who becomes fascinated by violence as a child. Perhaps this is because the area around him is rife with thugs and petty crime, or maybe just because he is a rather warped child. The local community, including the corrupt police, both fear and revere the rowdies who control the area. Seenu dreams of becoming like his hero, the local Don, Manikyam (Pradeep Rawat). Seenu has a talent for fighting which comes in handy as he works his way up the ranks from small time thugto head his own group of initially ineffectual youths. His recklessness and lack of anything approaching common sense is amply demonstrated in one of the early scenes when his gang is outnumbered by a knife-wielding mob. Seenu is the only one who doesn’t retreat and ends up at the front of the group – the position that, in his eyes, makes him the leader. As such he is prepared to fight and of course, since he is the hero, wins against such impossible odds. All of this is fairly normal gangster fare, but the film introduces some more interest in the character of Seenu’s younger brother Chinna. He idolises his brother and is fascinated by his knives and guns. The way in which this adulation is used to develop the story line in the later scenes is one of the strengths of the film, which otherwise is yet another blood soaked gangland war saga. In the middle of Seenu’s rise to notoriety, he falls in love with Subbalakshmi (Isha Sahni). Subbalakshmi appears to be an intelligent girl; after all she is a Mahesh fan, albeit an obsessed one. Unfortunately director and writer Sukumar has given her every single characteristic we deplore in a filmi heroine. She is whiney, irritating and not just totally useless but an actual liability in a fight. She wears skimpy clothes when wandering round unsavoury areas at night. And as the final insult, Subbalakshmi tells Seenu that when a girl says no, she doesn’t actually mean it. At this point we were ready to slap her ourselves. Why she falls in love with Seenu is a mystery as well, since he is totally inept in wooing her. He follows the usual stalker method and just assumes that since he likes her she will automatically love him back. Sadly, this does seem to be her only motivation, although perhaps his willingness to dress up in the latest Mahesh costume she bought for him was a factor. She also has an interesting, if not recommended technique for removing a foreign body from Seenu’s eye – hm! We do like that the intermission is called an interruption, but it does mark the point where the film starts to lose its way a little. 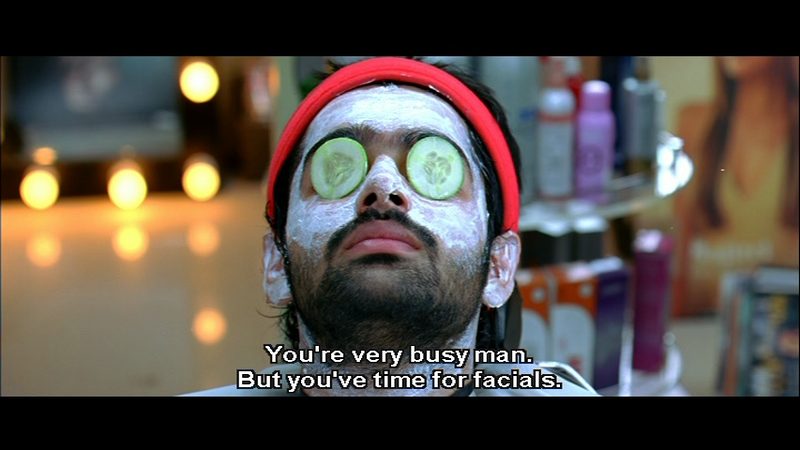 Seenu eventually has a falling out with Manikyam and ends up crossing machetes with Manikyam’s source of political funding; the industrialist Yadav, slimily portrayed by Satya Prakash. The story is totally unbelievable at this point as the difference between the well equipped seasoned killers employed by Manikyam and Seenu’s youthful gang is ludicrous. However this doesn’t stop various members of the community approaching Seenu for his rather simplistic aid. Meanwhile Chinna has been avidly following his brother’s exploits and admiring his lifestyle, much in the same way that Seenu idolised Manikyam. 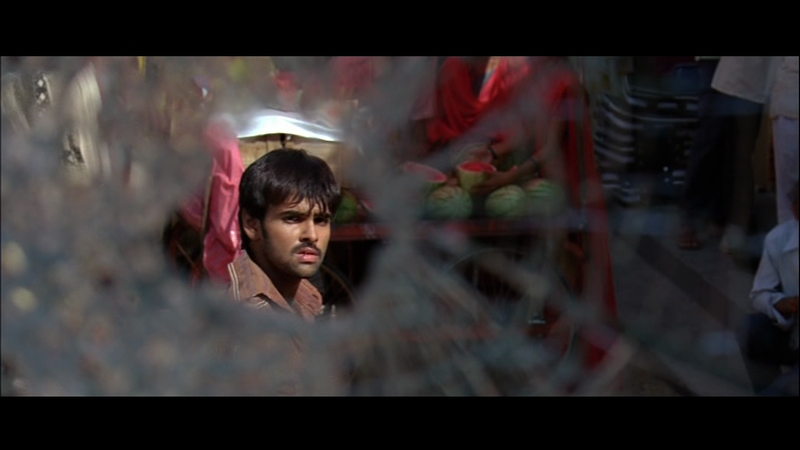 When finally Seenu heads off to kill Yadav, his younger brother wants to watch but events do not unfold as anyone anticipated. This does however mean that we get to see Prakash Raj in his familiar cop avatar expounding truth and justice and using a white board to illustrate the ‘cycle of violence’. Ram plays the cocky and arrogant character of Seenu with ease. He manages to bring enough of his chirpy ‘boy next door’ persona to the rather dark role and makes Seenu a more sympathetic character despite his arrogance and obsession with violence. Seenu’s friends are from the usual pool of young actors, and in the main they manage to bring some individuality to their various characters. Pradeep Rawat is good in his fairly small role as Manikyam, and gives his scenes some badly needed menace. Ravikumar Chowdary also turns in a convincing performance as Ladanna in the first half, but disappears towards the end of the film. Ragubabu and Saranya are rather wasted as Seenu’s parents and Satya Prakash has very little to do in his role as Yadav. Isha tries, but her character has few redeeming features so she has to settle for pouting and crying in equal measures. The music by Devi Sri Prasad is fine but not particularly memorable. Ram is a good dancer and the choreographer has utilised his skills well in the songs. We are happy to see that he shows plenty of commitment to the chicken step and is not afraid to dance while totally covered in mud. It’s always good to see this level of dedication even if it doesn’t totally make sense. Overall the film doesn’t succeed as an edgy drama, nor does it succeed in its supposed anti-violence message . 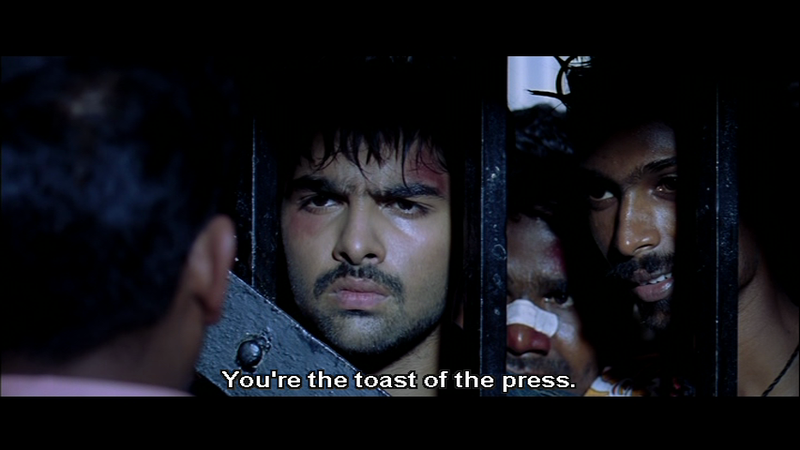 The moralistic tone at the end fails since it doesn’t seem as if Seenu will ever have to pay for his actions. 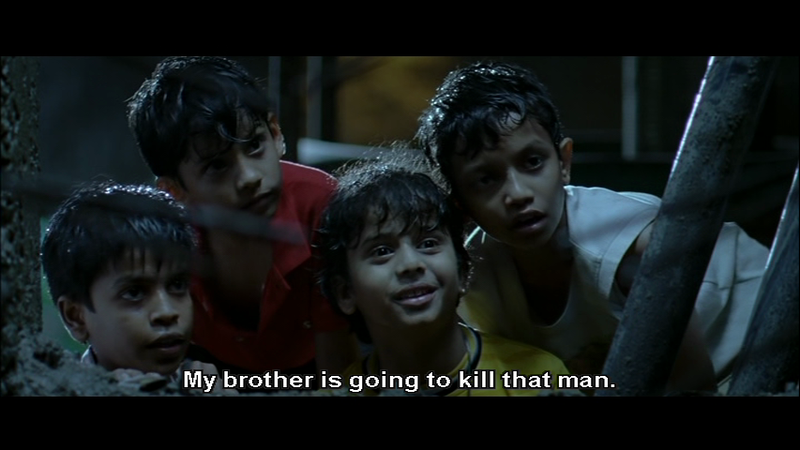 Within the cycle of violence there is a sense that Seenu could stop any time he wants to, but at heart he is still that kid fascinated by killing. While it starts as an interesting attempt and is worth a watch for Ram’s performance, the film ultimately fails to rise above the standard gangland shoot ‘em up fare. Heather says: Jagadam tries to be different and send a message about the inevitable consequences of violence. It just doesn’t succeed, as the story still glorifies aggression and shows that a life of crime gets you the girl, plenty of money and adulation from your peers. Take away the gang fights and there is really very little of substance left. The romance is just uninteresting and there is no chemistry between Seenu and Subbalakshmi. I really didn’t care about the couple at all and thought it detracted from what could have been a much edgier drama. Ram’s performance is what makes this watchable and I think he does an excellent job of showing the arrogance and sense of indestructibility that many young people display. His anguish at the end as he realizes the price he has had to pay for his lifestyle is well portrayed and believable. But then it’s promptly diluted by the horrific fight scene immediately afterwards. The sympathy shown by the police chief is at odds to the rest of the film as well, although it does fit better with the pacifist message that seems to have been intended. I’m professionally qualified to say that the best way to remove a foreign body from an eye is not to lick it. Be warned – saliva and eyes should never come into contact! Overall the film just fails to be anything other than average, so it gets 3 stars from me. Temple says: This is 2 and a bit hours of ‘meh’. Once again, it seems the message the film is supposed to contain is not the message I get; it glorifies violence, showing it to be the solution to many problems and the province of heroes. I know Seenu loses people he cares about but, as he hasn’t developed any sense throughout the film, there doesn’t seem much hope for character transformation despite a scene supposed to convince us of his redemption. Prakash Raj made the most of his character and opportunities but clearly his whiteboard was wasted on the director! Ram is quite memorable, partly because of his likeable presence, but mostly because of his annoyingly asymmetrical shirts. I don’t think contrast piping and looking like you’ve got your buttons done up wrong is really going to strike fear into your enemies or impress the ladies, but the costume designer had other ideas. Despite a handful of scenes that were strong and sometimes moving, the film just wasn’t grim enough to make the violence angle feel real and wasn’t entertaining enough for it to be a good popcorn film. The overt statement of the anti-violence message was at odds with the implied approval of the hero’s character and decisions. It just didn’t get the balance of light and dark right for my tastes. I give it 2 and 1/2 stars, mostly because despite seeing it twice now I can’t recall much outstanding or noteworthy apart from Ram, those shirts, and the eyeball licking scene. And that’s probably not a recommendation. This entry was posted in Tollywood and tagged Devi Sri Prasad, Isha Sahni, Jagadam, Pradeep Rawat, Prakash Raj, Ram, Satya Prakash, Sukumar. Bookmark the permalink. I think I liked this slightly better than you, but possibly because I’ve never seen City of God. It seemed really violent and bleak, so it makes sense that I would find that story and theme palatable in Telugu masala form. 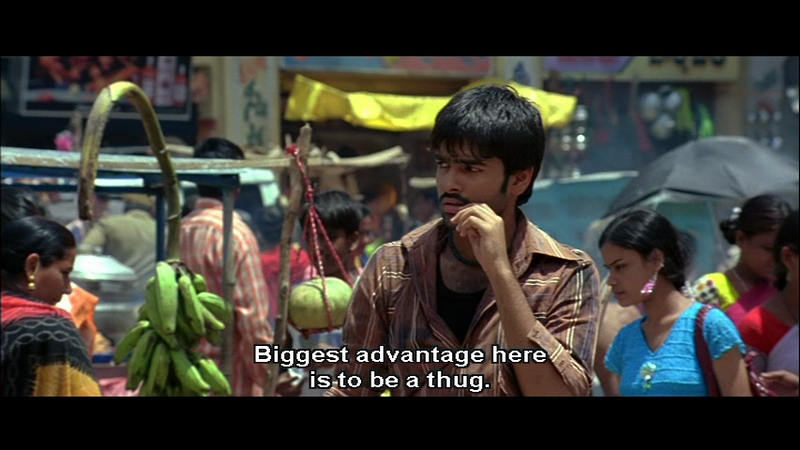 I was just so happy to see Raghubabu in a different role, and I connected with his character. I would agree with Temple that this really had very little similarity to City of God, which is a much more violent and bleak film IMO. 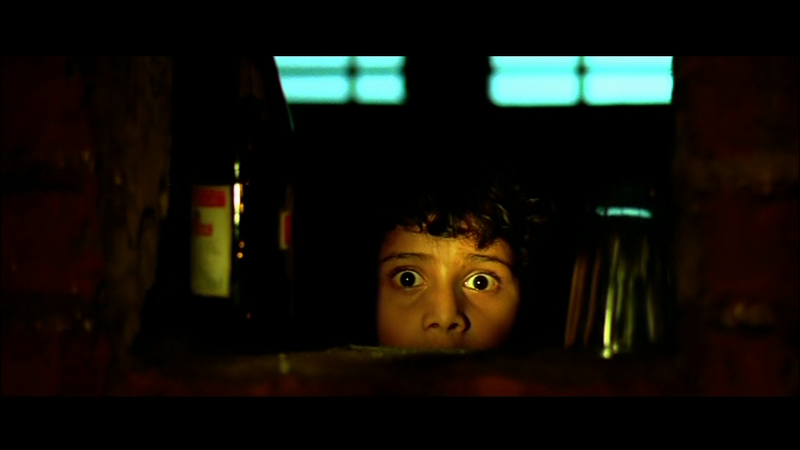 I think I liked it more the first time I saw it, but Subbalakshmi’s character was just too jarring on repeat viewing. I liked Ram in this though, and the kid who played his brother was pretty good too 🙂 I think it was an interesting choice after Devadasu and at least shows him to be willing and able to take on a different role. Hi Liz. Help yourself to Prakash Raj caps 🙂 Ever since Athadu I have been mildly obsessed with his drawing and writing skills so I completely understand. Hi Swathi – I don’t know the video you mentioned. You would probably have better luck searching on youtube or one of Ram’s fan sites. Good luck! I hope you find it.